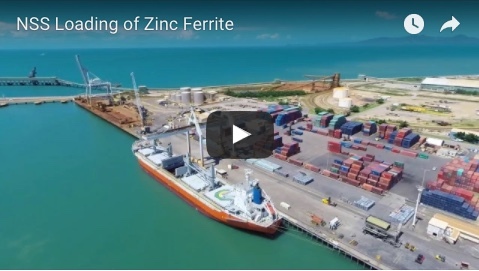 A 550-tonne stacker and a 1700-tonne reclaimer arrived at Weipa this month for the $2.6 billion Amrun bauxite project. 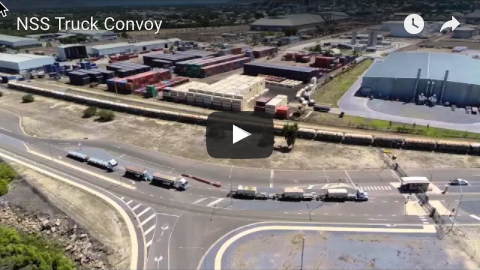 The delivery marked the culmination of a 16-month fabrication effort by Western Australian-based Civmec and a nine-day voyage on a heavy lift vessel. 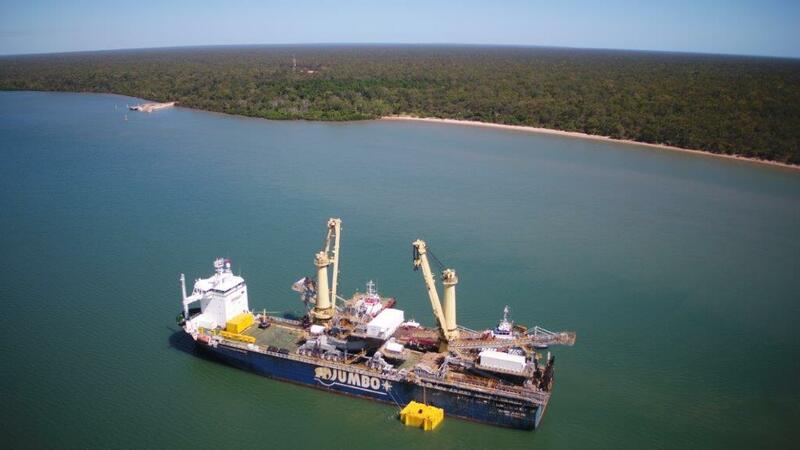 Rio Tinto Amrun project general manager Marcia Hanrahan said the remoteness of the Amrun site on cape York meant the safest and most efficient approach had been to fabricate the infrastructure into large-scale modules. “The infrastructure has created employment on both sides of Australia with fabrication and part-commissioning of the modules generating 150 jobs for West Australians and 100 jobs for Queenslanders who will construct and fully commission the units now they have arrived at site,” she said. As at the first quarter of 2018, the Amrun project directly and indirectly spent more than $2 billion with 1130 Australian suppliers, including 727 Queensland businesses (with 71 Western Cape businesses and 17 Aboriginal and Torres Strait Islander businesses among them). The function of the stacker is to receive bauxite after it is processed and build stockpiles ready to be loaded onto ships. The reclaimer then collects or ‘reclaims’ bauxite from the stockpiles and delivers the product via conveyor to the shiploader which loads bulk carrier vessels. The Amrun site team is expected to take six months to assemble and commission the machines. Production and shipping from the Amrun project are expected to commence in the first half of 2019, ramping up to full production by the end of the year.